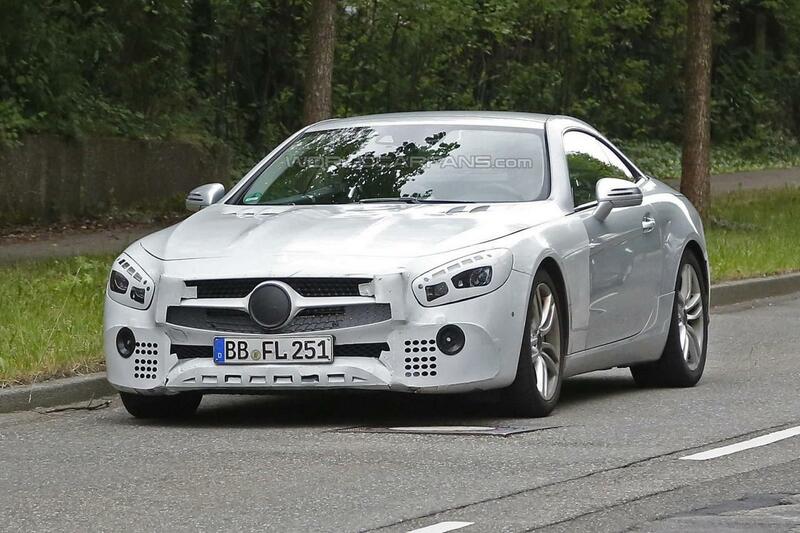 The facelifted Mercedes SL is now a big star on the internet as spy images of the car are causing quite a stir among fans all around the world. Even if great looking the car has managed to divide fans in two opposite sides. Thus a part points that the current model is not as good looking as it’s predecessors. To correct this some changes are expected for the new facelifted Mercedes SL as the company is plannig to come with some subtle tweaks for the model’s midlife revision. List of changes will include new graphics, modifications to the headlight and taillight clusters, an “upside down” front grille and some minor changes to the bumpers. Also another major change operated recently by the company is worth mentioning as Mercedes has introduced the SL400with a twin-turbo V6 3.0-liter pushing out 329 bhp (245 kW) and 354 lb-ft (479 Nm). Thus a model placed between the SL500 & SL550 might be lauched soon enough. 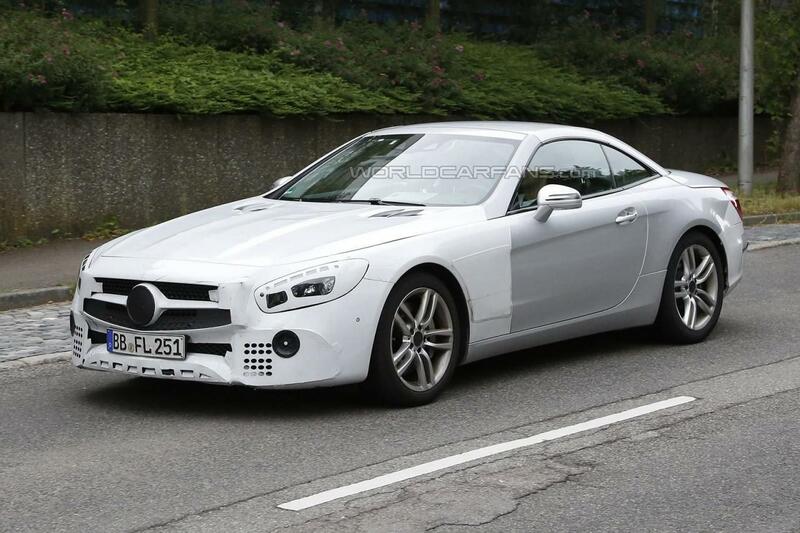 And last but not least it seems that the facelifted Mercedes SL is coming closer and closer to car fans. Basically work is expected to be finished in the folowing months and the reworked Mercedes SL might be available for orders in December. 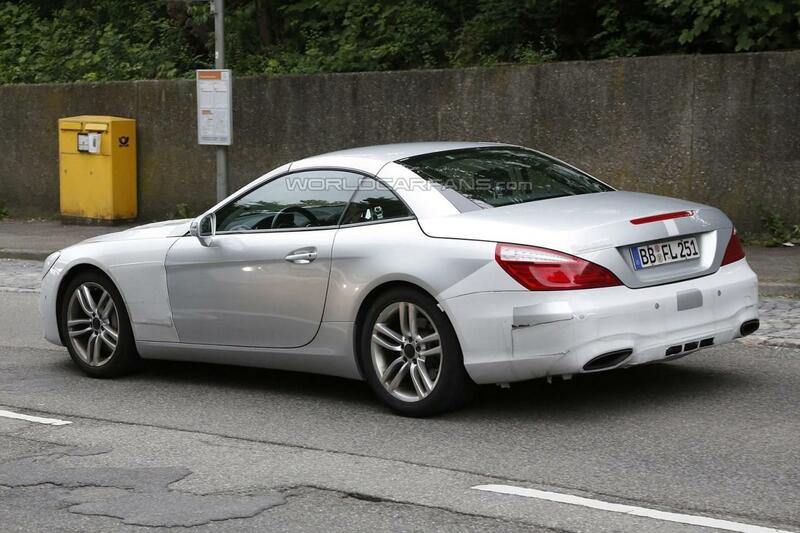 This entry was posted in Mercedes-Benz, Spy Photos and tagged Facelifted, Mercedes, Mercedes SL, SL, spied. Bookmark the permalink.